The AUP must be signed each year. A significant revision to the policy was approved this year. You must read and accept all policies included in the link. Passwords must be at least 8 characters, and contain at lease one of each type caracter: uppercase, lowercase, numeric and special. Passwords cannot contain any part of your name or username. You will be forced to change your password every 120 days, and your password cannot be one of the previous 5 passwords. A shortcut should be added to your desktop automatically. Enter your user ID or number provided to you by your bookkeeper. To access Gmail from any computer or internet connected device, go to https://gmail.com and log on with your email address and your network password. On an Apple mobile device, you can use the built in "mail" app or load the Gmail app from the app store. We strongly recommend that you only use one. On an Android device, the built in app is Gmail, you will simply need to add your account. In the Search field, type "\\printserver01" and press enter. Double click the printer you would like to use install. Students will follow the same steps to add a printer. Please contact the helpdesk or your school tech for printer assistance on a Mac. Available inside and outside the district. If you have access, you will login with Network Credentials, but you must have logged on to iNow at least once. Every member of the faculty and staff has a secure network folder in the district. Here are instructions to create a shortcut to it on your Windows desktop. For Mac assistance, please contact the helpdesk or your school tech. Virtual desktops are available from almost any internet connected device from almost anywhere in the world (some locations block access). Desktops are available via Client (requires an installation) or HTML access. On iOS or Android devices, go to your app store and download the "VMware Horizon Client". On Windows or a Mac, go to https://view.madisoncity.k12.al.us and choose "Install VMware Horizon Client". Then download and install the correct client. When prompted for the "Connection Server" or "Server Host", enter "view.madisoncity.k12.al.us" without the quotes. From a web browser that supports HTML5 (most modern web browsers), navigate to https://view.madisoncity.k12.al.us and choose "VMware Horizon HTML Access". 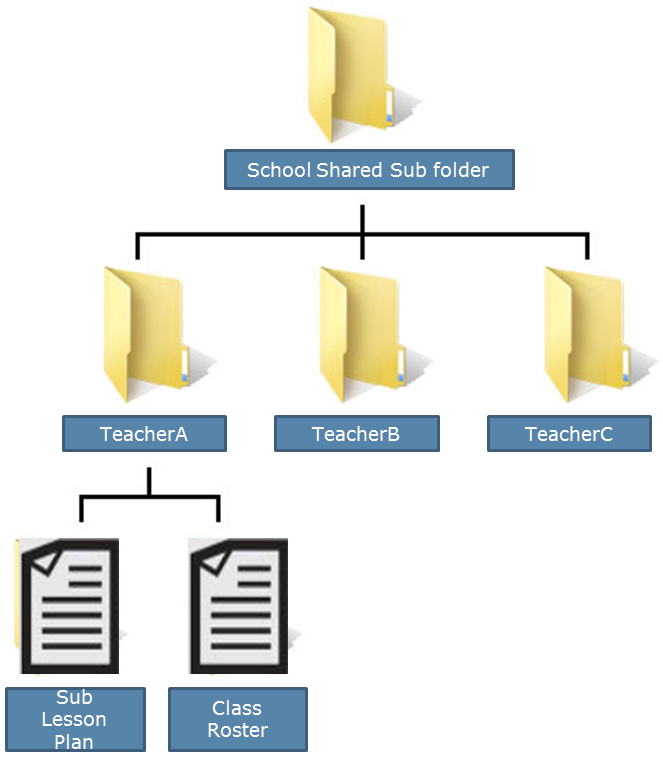 Inside the Shared Folder, create a new folder naming it for yourself using lastname followed by first initial (i.e. NewA). MediaCAST is our own personal "YouTube". Teachers can upload resources (video, audio, files, etc.) and make them available to our students or use the resources already available. By default, the resources are only available to MCS Faculty, Staff, and Students, however, we can further restrict or allow access to the resources. Each school has a Broadcast cart that can be used to stream resources such as DVD's, or to generate and broadcast from its camera. See your school's Media Specialist for more information. For everyone new/returned to MCS is considered a first time user. The default username is your first and last initial and the last six numbers of your social security number (i.e. Jane Doe 325-76-4242 would be JD764242). Your password is your birth date in the format 02-28-77. Madison City is your LEA. Once logged in, manage your email address and create a new username and password. Including employees who transferred from another school system in Alabama. Upon employment, a new Madison City Schools STI-PD account is automatically created for you (information is automatically pulled from iNow). To begin using this account, see default log in directions for first time users in the STI-PD section. Note: Sometimes when STI merges the accounts, your old username and password are retained. On the STIPD homepage, click the “Password Reminder?” link. If you have reset your username and have forgotten it, please email Leslie Major. If you have never logged in, see directions for first time users below. Signing up for STI-PD sessions and validation of your attendance at ANY training. Click on View Session Offerings then LIST to see all session dates, times and locations. Select the session you wish to attend by clicking on VIEW SCHEDULE in the upper right corner of each session box. Click ENROLL NOW and YES to confirm your enrollment. At the conclusion of training scheduled through STI-PD, the presenter or session creator will validate your attendance and award you credit. Log in and click on the My History tab. Scroll to the bottom and click on the link to Submit new training history item for approval. Inform your Principal that you have completed training that requires their approval. Keep your training certificate on file. Once your attendance has been validated or your principal has approved your training, click on the My History tab and scroll to the bottom to Print Training History. STI-PD automatically pulls employee data from iNow. As a result, if you are no longer employed with our district, you will no longer be listed in our iNow database nor have access to your PD history through our system. If you are employed at another public school system within Alabama, your new school system can work with STI to have your accounts merged (see details above). If you will not be immediately employed with another public school system within Alabama, you will need to print your training history and file for later use. Please watch this very short tutorial to help with creating automatic filters with Gmail. Under "On startup," click Open a specific page or set of pages. Google Contact Groups are very powerful. They far exceed a standard distribution group because they are usable in any Google app. For instance, you can use a Contact Group to write an email to multiple people (the most common use traditionally), or you can use that same Contact Group to share a Google Doc, Sheet, or Slideshow. Here is a very short video that walks you through it. This is not very intuitive, so we recommend watching the whole video. It may seem simple, but many of us had a hard time finding our SPAM folder. On the left-hand side of your Gmail window, there is a button that says “More” with a down arrow. Click that down arrow. You have now revealed your SPAM folder along with a whole host of other labels, etc. you may not have been aware of. Scroll down to the Conversation View section (stay in the "General" tab). Once you have clicked “COMPOSE” in Gmail, click the “To” field. Change the “My Contacts” dropdown to “Directory”. You should now have complete access to the Madison City Schools directory. *One important note: Make sure you’ve picked the right person. To allow for more vertical communication, students will also populate into this list if you do it this way. Be mindful of that, and make sure to pick the proper user. We have noticed that--while you're composing a new email--a user may or may not pop up immediately. For instance, if I typed "Hill" into the To: field, I would expect Jamie Hill to pop up. He does not. If I type "hill ja" though, he does. Please know that first and last name may occassionally be necessary as Google learns your behavior. Once you’ve exported those items as a .pst file, you can store that file on a thumb drive, your Google Drive, etc. Then, on any machine in the world with Outlook, you can import those items directly into Outlook. First, you need that person to be added to your contacts, then you can add them to a Contact Group (distribution list). 1. You may make a contact group of the PTA members at your school, and you'd like to share that group with the head of your PTA. 2. As a teacher, you may want to share a group containing your entire 3rd block class students with one particular student so she feels empowered as a leader and emails daily thoughts of inspiration to the whole class. Whether you need to keep an email to provide evidence in a parent meeting or you want to simply save that very kind email from a former student, we all have the need to occassionally save an email. In Outlook, you would save a .msg file that could be launched back only into Outlook. With Gmail, you will need to either save as a PDF and place it where you wish...or install a really awesome Chrome extension that takes care of it for you. Both are outlined in the video below. We recommend watching some or all of this instructional video. It lays out all the basic functionality of Google Calendars. 1) In the "date range" you should specify a range much larger than you think you need (just to catch annual events, etc.). 2) In the "Details" section, I would recommend choosing "full details." Once you have created or accept a Google Calendar and you see it within your browser window (like in Google Chrome), the calendar may show up automatically on your phone’s calendar by default. If it does not, you will need to force it to sync with your mobile device. In Chrome, go to this link and check the boxes for whichever calendar(s) you wish to sync with your mobile device. Whether you've gotten parent names and emails in a Google Sheet or Excel format at your open house...or you have an old spreadsheet of contacts you want to migrate over, this very short video we've made will show you how to EXPORT and IMPORT so that you can create a Google Contact Group with that data. Type a name for the shortcut. 'Gmail' is the obvious one. Click 'Finish'. Simply drag the URL (web address) from your browser window down to your desktop and let go. You may then drag it to the bottom-right side of your dock if you don't want to clutter your desktop. If the shortcut is on your desktop, you can right-click and rename to "Gmail". This video already exists from another school district, but the process is identical. Essentially, if your contacts have not migrated, you simply export contacts as a file (comma separated values) from Outlook, then import into Google Contacts. You have likely accidently turned on "Send and Archive". To fix this, go to the settings gear at the top-right of your Gmail window. Under the General tab, move down to the 8th item down the list called "Send and Archive". Turn this off, then click SAVE.